We import 2005-2008 Mustangs into the UK for you. We take care of all the paperwork, the phone calls, and will even deliver the car to your door! * There's no hassle, and our agreed exchange rate takes the worry out of your purchase. Check out the model lineup for the most successful car that Ford have produced - there's something for everyone! Prices vary depending on specification, and on the current U.S. Dollar exchange rate (which gives great value right now), but if you budget between £17.5k for a V6 Coupe and £28k for a V8 Convertible you won't be far out. You could be in a Leather-trimmed V8 GT for as little as £21.5k! Have a look at the options available this year. With stangs you're not a "punter", but a genuine enthusiast like we are. We treat all of our customers as enthusiasts, and you can relax and know that we take as much care of your new 'stang as you would yourself. 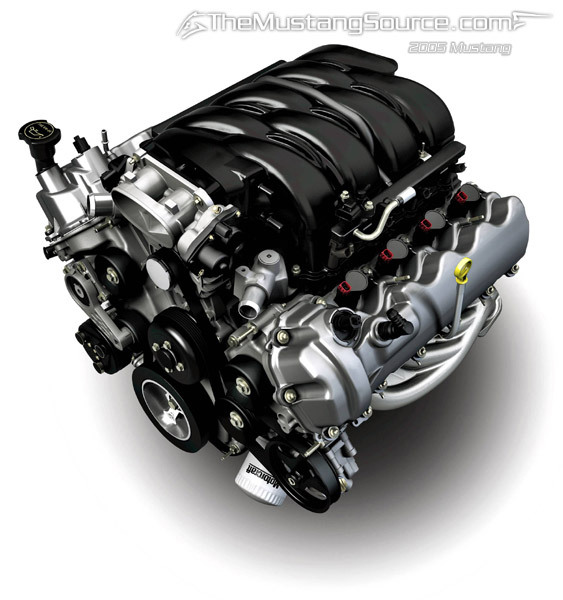 Stangs.co.uk will fill all of your 2007/2008 Ford Mustang needs in the United Kingdom. We've got the latest news on the 2008 Mustang, on buying and maintaining your Mustang, a full suite of pictures and specifications and colours. Use the navigation buttons on the left for the full low-down on how Stangs.co.uk can help you, or for more information, news on the convertible or pictures. We keep tabs on any developments on the 2005 Mustang, such as the 500bhp Shelby GT-500; and we're working on our own 500 bhp GT. Isn't it another American Barge? No. In fact it's smaller than a BMW 5-series saloon - and considerably more handsome! For those who like a little comfort, the interior of the new Mustang is also a very pleasing place to be, with a straight-cut dash with optional Aluminium facing (part of the Interior Upgrade Package). Leather seat facings are part of the option packs (Deluxe and Premium), and a sporty red leather is available. Check out the new 2007 colours. Audio is also available in three packs: standard (single-disc CD on V6, 6-disc on V8) with 6 speakers, or a pumping 10-speaker "audiophile" package (shaker 1000) with over 1000W of music power and a wicked sub-woofer in the boot! The 6-disc in-dash changers also support MP3 discs, so you could store your entire music collection in this dash! telephone: 01962 886 165 (24 hour answering service). Please leave your name and number and we will call at a time to suit you. * for delivery prices please call us as this is mileage-based. Whoa! Who are this rockin' new band? 12 Apr 2008: Dollar still weak $1.98:£1, get a new V8 for under £21k! 22 July 2007: new Colours announced for 2008. 23 Oct 2006: Review of the GT500. 13 Aug 2006: Ford announce the Shelby GT - a GT-H you can buy! 9 Jun 2006: We can reserve a Shelby GT-500 for you, your £10k deposit secures a car for 2007 delivery! 31 May 2006: Shelby GT-H to rent in the U.S.
8 Apr 2006: Convertibles raise the roof - to the sky! 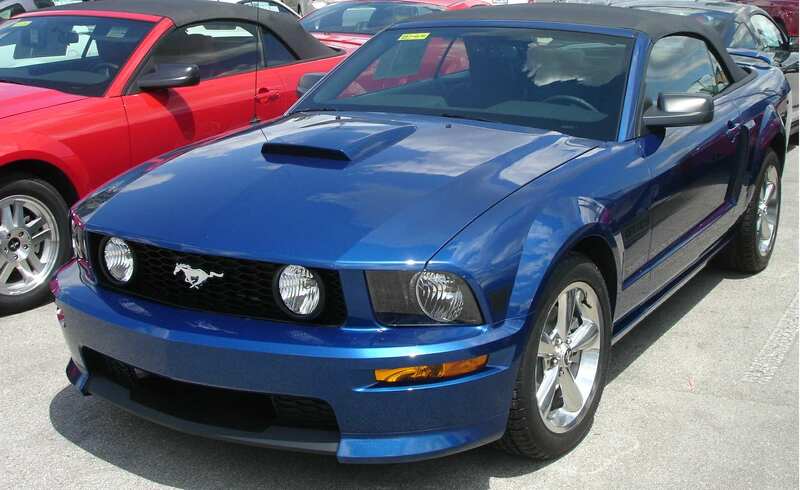 21 Feb 2006: Insurance can be difficult for exotic cars like a 'stang. See our Guide here. 1 Feb 2006: It's that time of year when we need to treat ourselves. 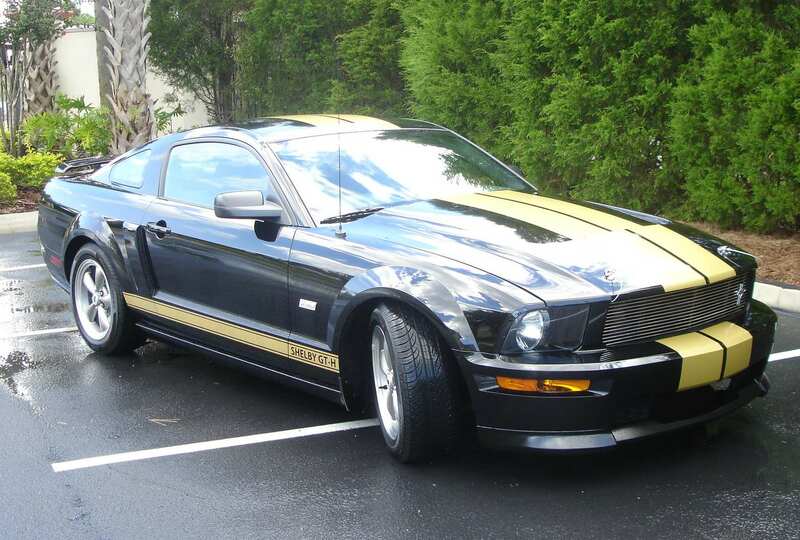 Why not get into a new 'stang in 2006? 30 Jan 2006: Finance now available! 1 Jan 2006: Now is the best time to order your Convertible for Summer 2006! 18 Jul 2005: Size matters! 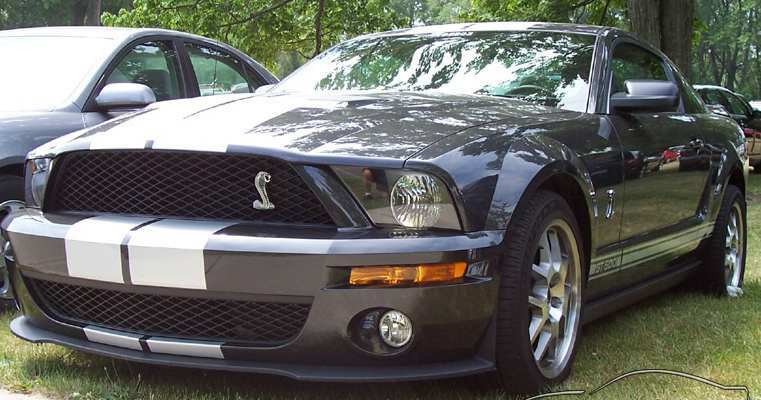 Compare the 2005 Mustang with other common UK cars and be surprised at how lithe it is. 11 Jul 2005: Summer's here - get into a 'vert. More stock coming in soon.